The legend of the “Lost City of Atlantis” is one of history’s most enduring myths; and from the words of one man, Plato, the story of the ancient city state, has grown. Plato would tell of the destruction of the ancient superpower when Zeus was angered by the populace; and virtually ever since people have been trying to decide where Atlantis was. Before anybody can put forward possible locations for Atlantis, the question of was Atlantis real has to be answered. 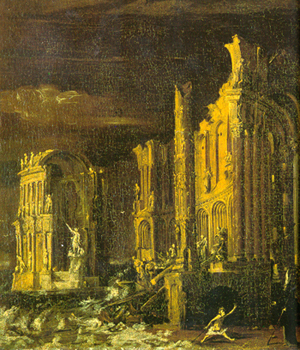 Plato wrote briefly of Atlantis in two dialogues, Timaeis and the incomplete Critias, with the works written in about 360BC. These are the first surviving written records to mention Atlantis, although Plato would suggest that he got the story of Atlantis from the Egyptians. Plato though, also says that the events of which he wrote took place 9000 years previously; long before the earliest written records known of. Of course, there has been no confirmed archaeological evidence found to support the existence of Atlantis either, but if there had been then Atlantis wouldn’t be a “Lost City”. The basic question of whether Atlantis was real or not, boils down to whether Plato was writing a historical manuscript, as believers in Atlantis believe, or whether the story of Atlantis is a moralistic one, as scholars tend to believe. The latter belief, where Plato is using his work to comment on the Athenian state, is probably more convincing without any further evidence. The former belief though does allow for plenty of speculation about where Atlantis was. The basic pointers written down by Plato would suggest that the island of Atlantis was in the Atlantic Ocean (the Atlantic being the name given to the ocean by Herodotus 100 years previously); beyond the Pillars of Heracles (the Straits of Gibraltar); and was of a size larger than North Africa and Western Asia combined. Most theories on the location of Atlantis tend to ignore one or more of these pointers; and it is common for theorists to suggest Plato used incorrect measurements or words. In particular, an argument is made that rather than meaning “bigger than” Libya and Asia, Plato meant “between”, the original words being “meson” and mezon”. Ignoring the pointers of course gives rise to many popular locations for Atlantis. One of the most common theories put forward for the location of Atlantis is the Greek island of Santorini; Santorini also being known as Thera. A strong case for Santorini being Atlantis was first put forward by Angelos Galanopoulos in 1960. The island of Santorini was partially destroyed by a massive volcanic eruption in 1600BC. When part of the island fell away into the Mediterranean, a huge tidal wave swept through the region, causing widespread destruction. 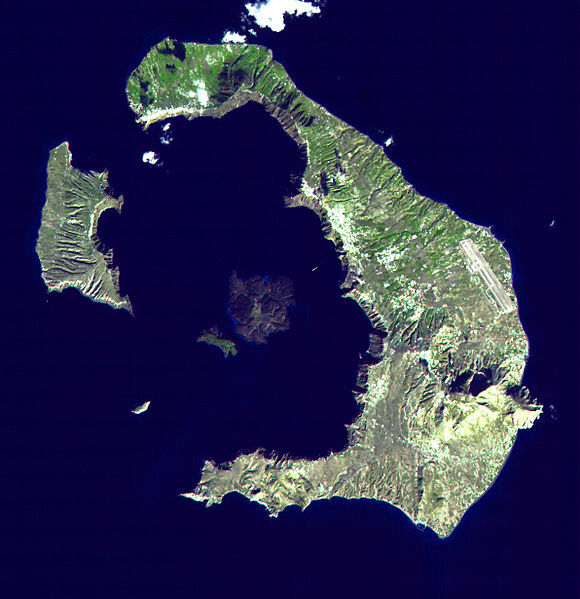 The circular nature of Santorini, allows some mapping of Plato’s description of massive harbours and canals to the island. Recent computer modelling to examine the appearance of Santorini before the 1600BC eruption, shows an even closer correlation between Santorini and Atlantis. Of course Santorini, whilst an island, isn’t in the Atlantic, isn’t beyond the Pillars of Heracles and was not excessively large. Other Mediterranean Islands have also been put forward as possible locations for Atlantis, including the likes of Malta, Sicily, Cyprus and Crete. Whilst carved stone work has been discovered in the waters around Malta, it is Crete that is the most convincing location of the four. Crete was the home to the Minoan civilisation that flourished from about 2000BC, a possible cause of the demise of this civilisation is put down to the eruption on Thera and a tsunami, highly suggestive with Atlantis being lost to the sea. Crete, along with the other three islands, has the same problems as Santorini when it comes to possible locations of Atlantis, whilst being islands; they aren’t in the Atlantic, aren’t beyond the Pillars of Heracles and were not excessively large. 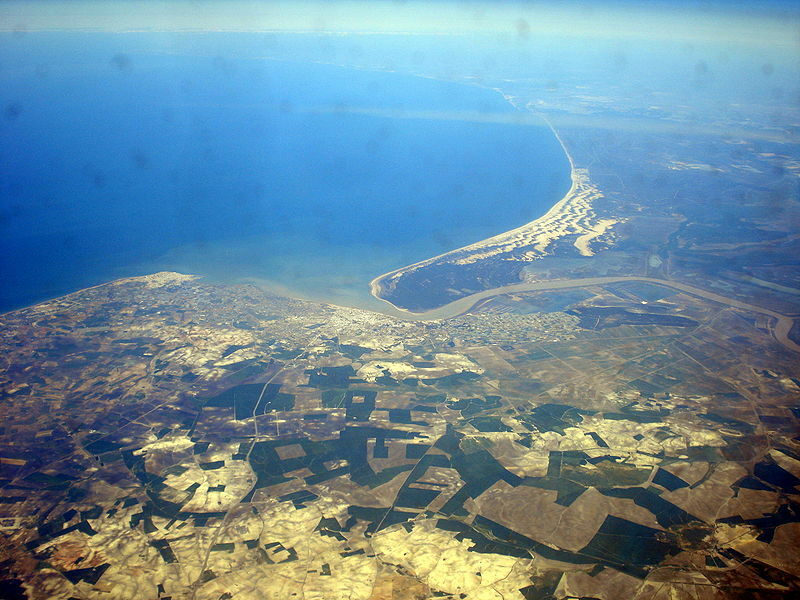 Travelling right to the west of the Mediterranean Sea brings a searcher of Atlantis to Andalusia in Spain. This region has for centuries been forward as a location of Atlantis. Atlantis has often been linked with the city of Tarshish from Hebrew texts; and Tarshish has often been linked with the seafaring city state of Tartessos. Tartessos was said to have been a city based on a now lost river; a river on the Iberian Peninsula. In recent years, the marsh area that makes up the Donana National Park has been scanned by satellites, with images revealing what could be foundations of stone buildings, and as the area has been land and sea, on and off, for millennia, it is a possible location for Atlantis. 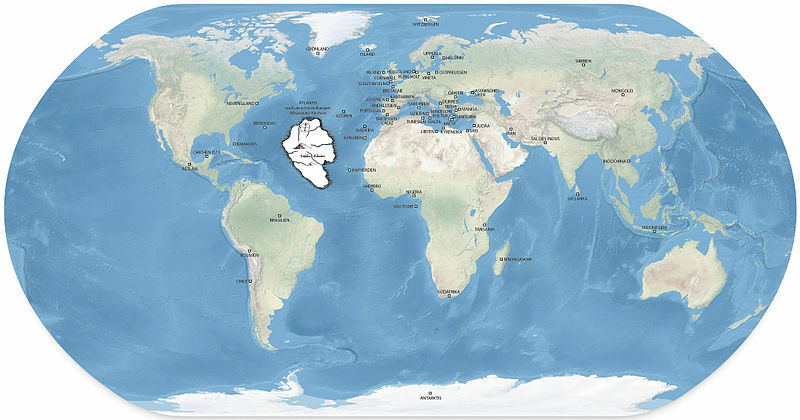 So based on Plato’s criteria for a location for Atlantis, Andalusia is at least in part on the Atlantic, is beyond the Pillars of Heracles, and is a large area, although not bigger than Africa and Asia. The downside to the argument is of course the fact that Andalusia is not an island. As Atlantis is legendary, any location for the Lost City can be put forward, as it cannot be disproved. After all, with all of the Atlantean technology destroyed when the city was lost, who is to say what they would have been capable of. Go beyond the Pillars of Heracles as Plato suggests and the whole Atlantic Ocean lies before one. The Atlantic Ocean comprises 40 million square miles of surface water, and even a large island could easily be hidden, submerged beneath 3000m of water. Travel north from the mouth of the Mediterranean and places such as Great Britain, Ireland or a land mass in the Arctic Circle have all been put forward at one time or another as possible locations for Atlantis. Travel south from the Pillars of Heracles, and eventually the Antarctic is reached; possibly, before it was covered in ice, the Antarctic might have been Atlantis. Of course, if Antarctica is Atlantis, then the Atlanteans must have been capable of ocean going voyages, so possibly the continent of South America might be Atlantis. Certainly, in recent years, physical landmarks have been found which might be the same as those described by Plato; although this is hardly surprising given the size of South America. Descriptions given by Plato of Atlantis can be matched to numerous places around the world; and so the probability is that no site will ever be confirmed as Atlantis, even if Atlantis is real. Any archaeological site would have to come complete with a sign saying “This is Atlantis”, otherwise doubts would always exist.